SayWhatNews: Good morning Mekka Don. Thanks for speaking with SayWhatNews. 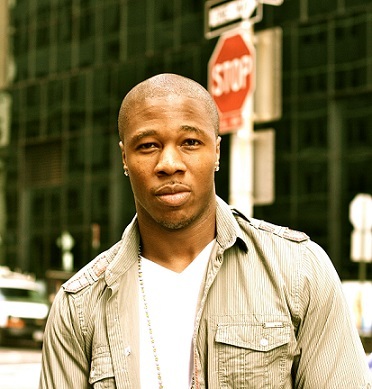 First tell us in 3 words who is Mekka Don? SayWhatNews: Your birth name is Chukwuemeka Nnamdi Onyejekwe. How did you come up with the name Mekka Don? Mekka Don: Chukwuemeka usually is shortened to Emeka (Eh-Mekk-a) so many people called me just “Mekka.” I think because of CL Smooth people just threw “Don” on top of it and it stuck. SayWhatNews: Ok, I have to ask what made you leave your successful job as a New York Attorney (back in 2006) and pursue a career in music as a Rapper? Mekka Don: I’ve always been in music and have always loved music more than anything. I knew I would eventually follow my passion…I just wanted my back up plan to be set first. I also love the law and what it offers. It has helped me tremendously in my business as an entrepreneur. Let’s just say I’ve saved a lot of money on lawyer fees. SayWhatNews: Mekka, your parents who were Nigerian immigrants came to the U.S. for better opportunities. How did they feel about your decision to leave your job as an attorney and pursue a career in music as a Hip Hop Artist? Mekka Don: I get asked this all of the time and rightfully so. My parents were nervous but reluctantly supportive. More than anything I think they feared the unknown…especially when I seemed to have something so certain in hand. But after some recent success, they are more stable and are my biggest fans! 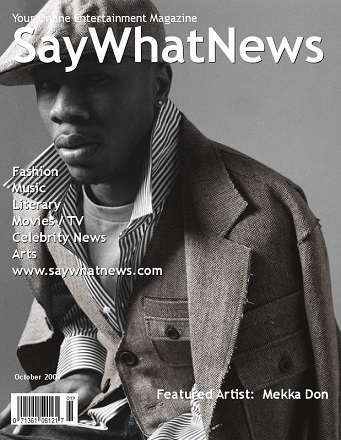 SayWhatNews: Back in 2007, you entered SayWhatNews first Featured Artist contest and won “Featured Artist of the Month” which included a feature on October’s magazine cover. What inspired you to enter and compete against over 300 aspiring rappers worldwide? Mekka Don: I felt like I had a good product and an inspiring story. My goal is inspire others. SayWhatNews definitely was trying to provide an outlet which I appreciated. SayWhatNews: Early on in your music career you had success - your single "U Know Mekka Don" reached #2 on the college radio site www.rapattacklives.com surpassing singles from chart topping artist like Lupe Fiasco. How amazing was it for you to see people enjoyed your music? Mekka Don: It was a blessing. Whether artists admit it or not, we all want what we’d call “objective proof” that we’re talented…or better yet that we’re not wasting our time. That was a big moment for me and my supporters. SayWhatNews: In the Summer of 2009, you teamed up with Bizzy Bone (of Bone Thugs –N- Harmony) on the song “For the Love Remix”. How did that collaboration come to be? Mekka Don: Being from Ohio I grew up idolizing Bone. Bizzy ended up hearing about me through some of the circles we rolled in and he heard the song and it spoke to him…a very organic process. That was another huge moment for me since I was a huge fan growing up. SayWhatNews: Also in 2013, The Ohio State University and it’s new single-source apparel licensee, J. America, released a line of “Juice” T-shirts in conjunction with your hit song “Juice” which is the official licensed Ohio State University football anthem - to be played at all of Ohio State's home games. This alone had to blow your mind. Tell us how this opportunity came to be? Mekka Don: I graduated from Ohio State and maintained a lot of relationships while there. I had been licensing my music to ESPN since 2008-2009 and won an mtvU award in 2012. When President (at the time) Gee of OSU caught wind of this success he decided that he wanted me to make music for the University…so that got the ball rolling. “Juice” and “Let’s Go (O-H-I-O) really took off and was played at all of the games, on the radio, TV, and at pep rallys. We believe this is the first licensing agreement of its kind with a University and a hip-hop artist. Definitely mind-blowing! SayWhatNews: Mekka your success in music continues: you have had several licensing deals for your music with ESPN, FOX, Ohio State and more; you have been nominated for 2 Ohio Hip Hop Awards; your music has been featured on MTV/VH1 and you were named 2012’s “mtvU Freshman” and won “mtvU Freshman Video” for your song “Dirty”. Which musical achievements so far has been the spotlight of your success that has made you the proudest? Mekka Don: Great question. I think being recognized by MTV was significant because we grew up watching that network and it was a major source for music. Although things have changed somewhat, there is still a lot of meaning there. However the Ohio State opportunities have been the most exciting because I get to enjoy it with my music fans and Buckeye fans – I love both! SayWhatNews: Your debut album “The Dream Goes On” was just released on Amazon and iTunes. What can fans expect from the 10 track album? Mekka Don: They can expect to hear my story as an artist, my perspectives on what it takes to be successful, and what I’ve been through to get here. There are some funny moments, some serious moments, and everything in between. I believe it’s a great representation of who I am as an artist, but also as a person. SayWhatNews: What inspired the music on the album “The Dream Goes On”? Mekka Don: I think it was time to release an album and tell my story to date through a complete music project. I also wanted to inspire. The Source Magazine has called the album, “inspiring”! That was my goal. SayWhatNews: In 2013, you released an amazing collaboration with singer Lana Fame (“Forever Love”). Are there any collaborations on the new album “The Dream Goes On”? SayWhatNews: To help with the production cost of your debut album you decided to raise money on the website www.indiegogo.com with the goal of raising $12,500.00. In 30 days you raised over $21,000 thanks to your fans. Tell us about the moment when you realized you had surpassed your goal? Mekka Don: Wow. I am still amazed at the support and that over 300 people contributed to help make this album happen. The moment we realized we surpassed the goal was surreal…and it happened within the first two and half weeks. Major shout out to the fans. Their support makes me want to work even harder – and I already consider myself to be a hard worker. 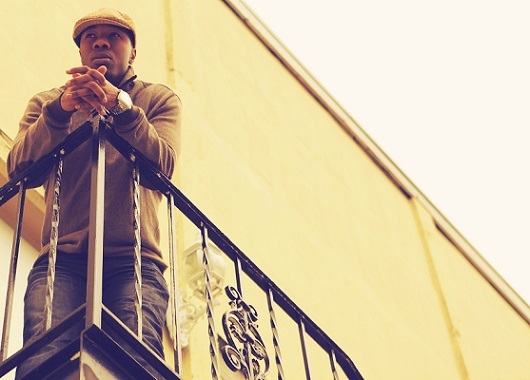 SayWhatNews: What’s next in the future for Mekka Don, the rapper/actor/lawyer/entrepreneur? Mekka Don: Right now we have a lot of album promo going on with Fox and NBC in Ohio, Sway in the Morning, release events in Ohio and NY with sponsorship by Perrier, Pilot Boys, and Purity Vodka. I’ll also be traveling to Dubai this week to shoot a video for “Rockstar” – one of the singles on the album. It’s a pretty exciting time. Also look out for new releases from the clothing line I co-own, Pilot Boys (@PilotBoys on twitter and Instagram). Thanks for your time. 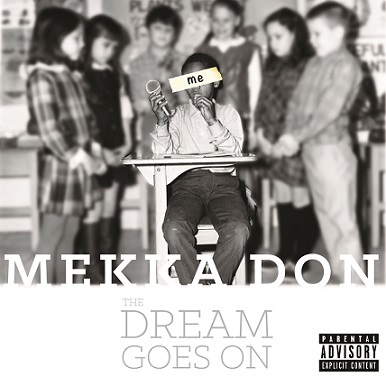 People can download “The Dream Goes On” from Amazon or iTunes to support the movement or can get physical autographed copies from http://shop.mekkadon.com . Also my twitter, instagram and youtube is MekkaDonMusic. Thanks!